Ladies Necklace in Tonal Glass & Bead on a contemporary silver chain. 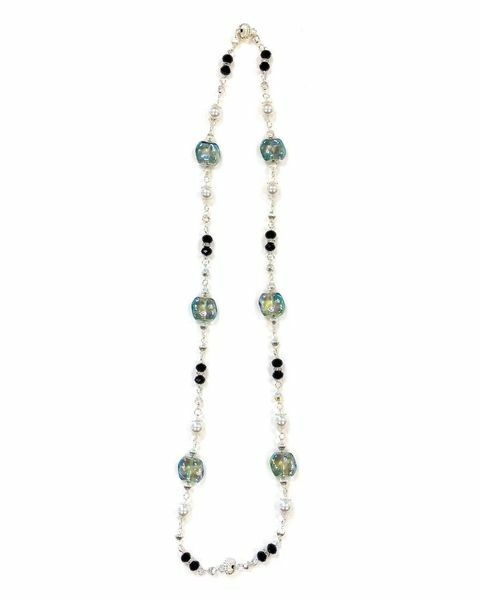 Tonal glass on a contemporary silver coloured chain with decorative pearl bead. This necklace will bring fresh elegance to your outfit.